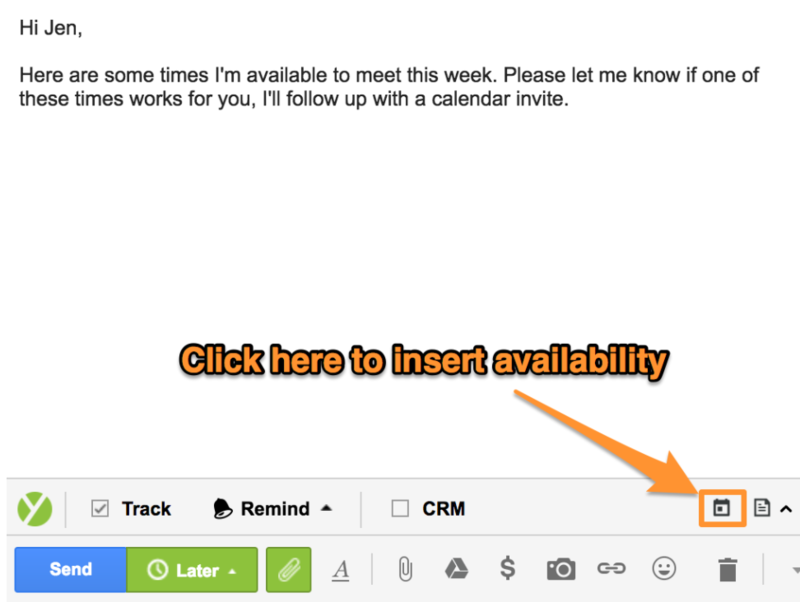 This month, we have an exciting new feature for all Gmail users as well as an update to Touchpoints. 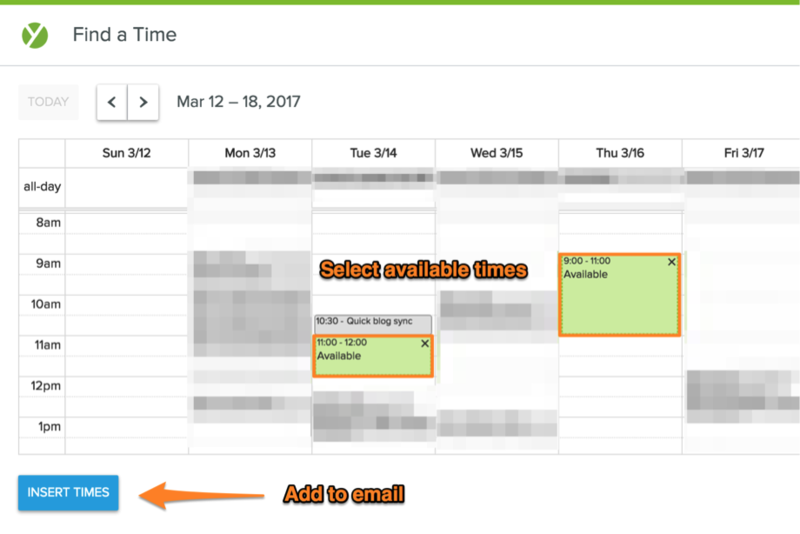 Our new time-picker means you can stop switching between email and calendar to suggest meeting times. 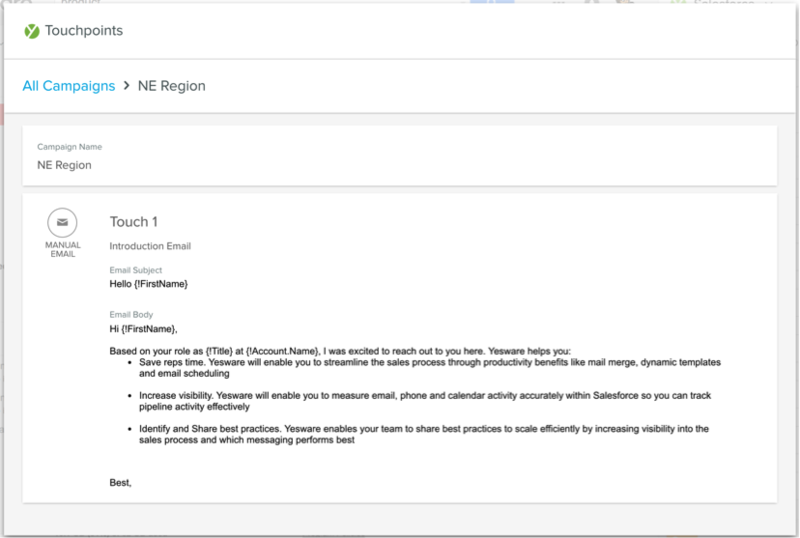 Not a Yesware user yet? Try it for free (we absolutely won’t ask for your credit card). 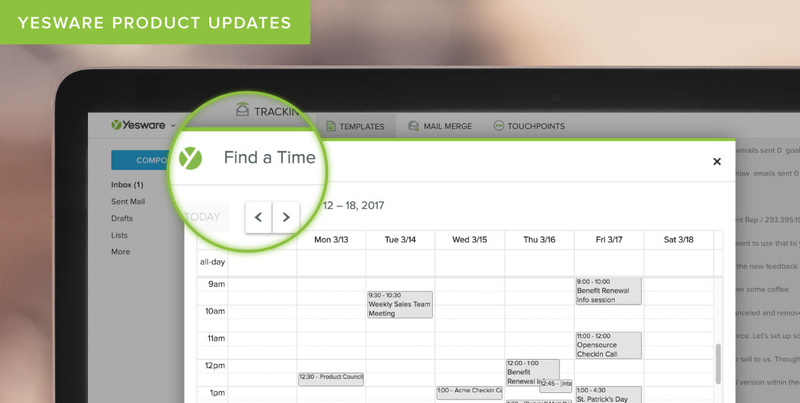 Touchpoints users now have the ability to preview campaigns without making any changes. This works for both personal and shared campaigns. That’s all for this month! Stay tuned for more updates to come.